I love the idea of supporting local brands, but I don’t often come across Aussie brands that are strikingly original. I’m always on the lookout for new brands that move the skincare conversation forward, but most local brands tend to follow international trends rather than create new ones. There are exceptions to this, of course (Mukti, Sodashi, MV Skincare etc. ), but a lot of the local products I try feel like variations of other products that already exist. Goldfaden MD is marketed as the world’s first dermatologist-developed natural skincare brand. Founded by dermatologist Dr. Gary Goldfaden MD, a lifetime member of the Academy of Dermatology, it is inspired by treatments developed in his South Florida dermatology practice. The line utilises state-of-of-the-art technologies with active plant cells and antioxidant-rich botanicals to provide instant results. 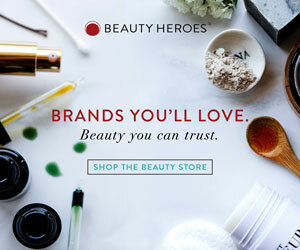 Unlike most dermatologist brands, all products from this line are free from parabens, petrochemicals, mineral oils, alcohols, silicone and gluten. Also, they are all are tested (and, therefore, suitable) for all skin types. None of these products are tested on animals.